Some users are reporting that Microsoft has begun sending notifications to Windows 7 machines to remind users when support for the OS ends. 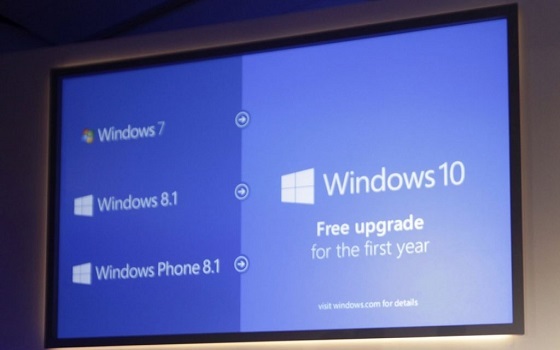 The users are supposed to upgrade to Windows 10 before support ends for the older OS in January 2020. By the looks of things, the notification first popped up in the morning of April 18, 2019. A Reddit thread also confirms that some Windows 7 users received the notification on April 18. In another Reddit discussion, users confirmed that the notification showed up when they booted the computer. 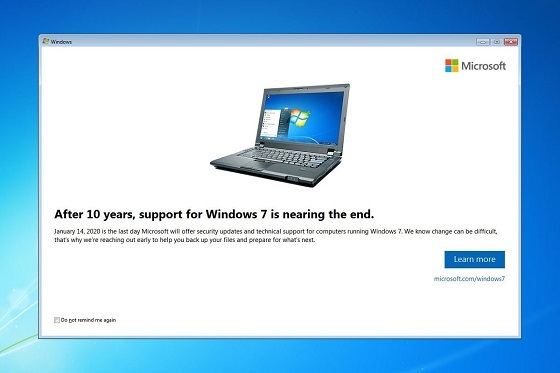 The notification titled “After 10 years, support for Windows 7 is nearing an end” reveals the date when support for Windows 7 ends. The notification popup features the ‘Learn more’ button on the right. If you click on the button, it opens Microsoft’s webpage in the browser to detail the end of support deadline and options available to the customers. As promised, there’s also a box ‘Do not remind me again’, which if clicked, is supposed to stop displaying this notification again. If you simply close the window, the notification would show up again in the near future. Microsoft says users can continue to use Windows 7, but the operating system will stop receiving software and security updates in 2020 and this will put the system at a greater risk for viruses and malware. “While you could continue to use your PC running Windows 7, without continued software and security updates, it will be at greater risk for viruses and malware. Going forward, the best way for you to stay secure is on Windows 10. And the best way to experience Windows 10 is on a new PC. While it is possible to install Windows 10 on your older device, it is not recommended,” Microsoft explains.